The Labour party leader met the grime MC ahead of the upcoming general election. 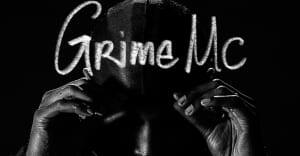 With less than a month to go until votes are cast in the U.K. general election, leader of the Labour party Jeremy Corbyn met with grime MC JME in a bid to encourage young people to register and vote on Sunday, May 14. On Twitter, JME said that he took the time with Corbyn to explain "why bare of us don't vote." He later shared what he had learned from his time with the leader of the opposition. JME is one of a number of grime MCs who have been vocal in their support for Corbyn in the run up to the June 8 election. AJ Tracey, Akala, and Novelist have also shown support for him during the campaign. Prior to their meeting Corbyn thanked JME for encouraging fans to vote.